4.2 out of 5 based on 97 reviews. If you’ve got hungry kids or you’re stocking up for the party season, you’ll love the Cheese & Ham Croquettes from Woolworths. These crowd pleasers are ready in just 20 minutes and are perfect for everyone! All you need to do is pop them in the oven until golden brown, arrange on a platter and serve with a side of Tomato Sauce, Garlic Aioli or Sweet Chilli Sauce. Look for the Cheese & Ham Croquettes in the freezer section at Woolworths or when you shop Online. Stock up now so you’re never short of a snack when the kids are hungry or friends drop in. Ready in minutes, gone in seconds! ¹May contain naturally occurring or other forms of glutamates. Great packaging. The pink colour on the box stands out from other items in the Woolworths freezer making them easy to find. I’ve bought theses multiple times now due to their great taste. I cooked them in the airfyer, they were done well within the recommended heating/cooking time. We all loved the Cheese and Ham Croquettes, eating them as a snack just as they were, no need to use any type of dipping sauce as the Croquettes contain all the flavour needed. They were very moreish, weren’t greasy so we were able to appreciate the actual flavour. The size was just right. I have no hesitation in recommending the Cheese and Ham Croquettes as they’re great value for the money, no fuss in preparation and delicious. The kids loved these ham and cheese croquettes, made for a super easy post-Christmas season dinner when need to eat was there but motivation was lacking. Arranged in a floral shape the kids downed them almost before they were placed on the table. Be sure to try these and keep them on the quick and easy dinner hit list! Ham & Cheese Croquettes- delish! These were quite delicious! I love a tasty snack which is quick and easy to prepare and that is exactly what these are. They are also a great last minute dinner addition for kids. My three year old devoured them without question which is always a win. Classic flavours which are always a crowd favourite also makes them perfect for entertaining all ages. We have purchased these a few times now as they are delicious and easy to get ready! Another one of the products we use as a quick dinner side dish for our youngest boys, they absolutely love them and I have been known to cook a few extra for me to munch on as well! These cheese-ham croquettes are just delicious. I purchased them for guests to nibble on for Christmas Day but will be buying more for New Year’s Eve. They quickly disappeared and were a favourite amongst adults and kids alike. The variety of cheeses mixed with ham and potato is a well-balanced and the absence of any preservatives, flavourings or MSG are an extra bonus for me. I will definitely be purchasing again. These are so yummy and easy to prepare. Will be buying again for sure! Quick easy simple meal for when you want something tasty but can’t really be bothered! These babies are crowd appeasers. They’re so incredibly yummy and outnumber party can vouch door this. 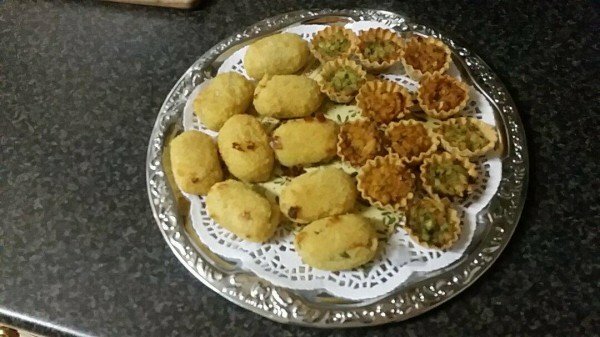 Woolies range of delicious frozen bites arethe a, little bit fancy too and you can get away with serving these up as hors d’oeuvres. Deliciously crunchy and tasty without nasty msg. You can’t go wrong. it’s so good that we bought another one! yummy, easy to cook, at affordable price, all boxes are ticked. They were so easy to cook and tasted delicious. When I was explaining to the kids what they were they were a bit skeptical, but after they tasted them they were hooked! I would absolutely buy these again. They were so easy to cook and tasted delicious. Everyone who tried these thought they were very tasty; the only downside was that we couldn’t really taste any ham. The filling was nice and cheesy without any fatty mouth feel. Coming up to Christmas we had a lot of people over and these are great little appetisers before a main meal. The kids loved them and they were really easy to cook. As with the Woolies Frozen Thai Vegie Bites, these were easy to prepare and tasty but expensive for what they are…As a family, we tucked into a tasting platter with cured meats, cheeses, crackers, dips and crudites and the little icing on the cake were a selection of Woolies frozen delicacies, including these Cheese and Ham Croquettes. The 3 year old mini-me was a huge fan and devoured 3 of these very quickly. The adults were more of a fan of the Thai Vegie Bites (review has also been posted for that product) which packed more of a curry punch. These ham and cheese croquettes would be good for a toddler/kinder afternoon snack, a spontaneous after school gathering for younger kids or as a finger food at a party where kids will be around. The mini me preferred to dip his croquettes in one of the dips on our food platter so perhaps a dipping sauce would be a good accompaniment! These are really nice and I will be buying them again! Just pop them in the oven for about 20 minutes. The aroma as they are cooking teases the taste buds. They are full of flavour and can be served with or without a dipping sauce. I found them to be much tastier without any sauces. I will be buying them again! 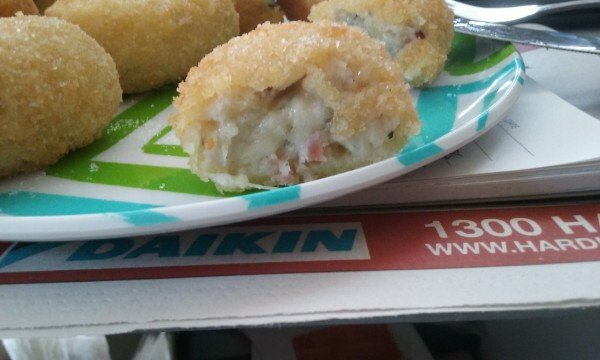 The Cheese and Ham Croquettes are so yummy you certainly can not stop at one. I served them with sweet chilly sauce and cream cheese and they were just so good I could not stop dipping away. I have already bought my next packet all ready to indulge this weekend. Found these easy to prepare and tasty. Quite cheesy although after a couple they get a little bland. Overall yum as part of a meal. Nice golden colour. Held together well and didnt fall apart like some can. These were easy to prepare and serve. The flavour of the ham and cheese came through. I did enjoy these. They could have been filled a bit more, as they did leak a small amount. I had already bought this Woolworths product and had it in my freezer. As there was only my son and I having tea I decided I wanted something quick and easy. 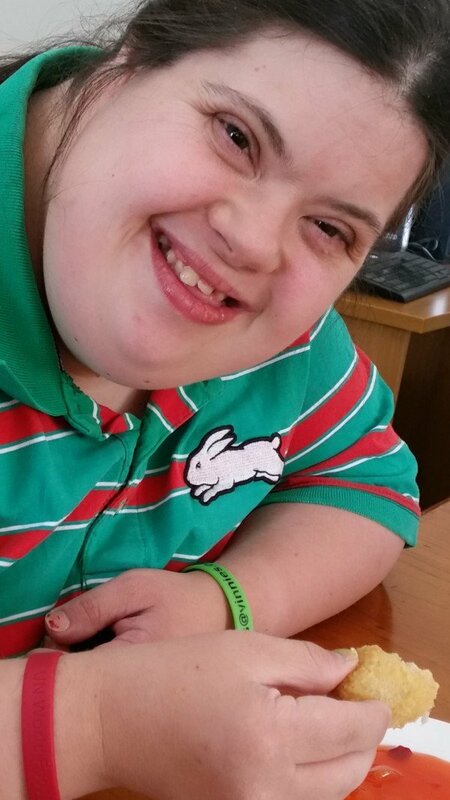 We had Cheese and Ham Croquettes with chips and a salad and both loved it. I’ll definitely be buying these again. Just so surprised by the quality and taste of them. We tried our kids on these over the holidays as a alternative to chicken nuggets and much to my surprise they were a hit. With 3 fussy eaters dinner time can sometimes b a real struggle but these r both delicious and quick and easy to cook. Will definitely b buying these again. 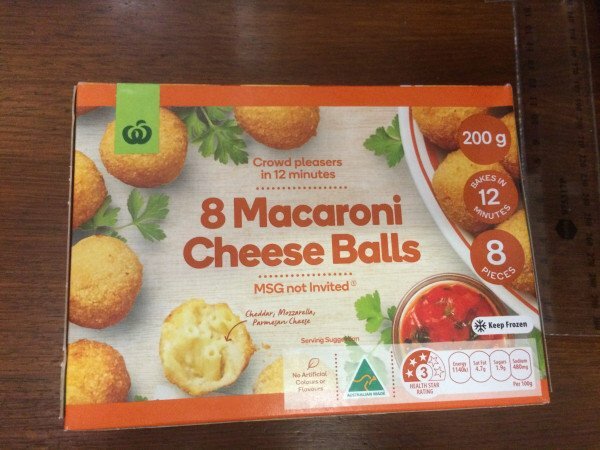 I went to Woolworths to find the Cheese and Ham Croquettes but my local stores did not stock this product so tried the Macaroni Cheese Balls instead. They were really nice the cheese was not too overpowering so did not completely swamp the overall taste and flavour. They are cooked in the oven so there is no mess, are crunchy and have a nice texture Only take 12 minutes to cook so are great to have in the freezer for those times when you need something quick and easy. The product has a 3 star health rating with no artificial colours and flavours. I love ham and cheese, so I thought “Awesome!”. But I was definitely let down. All I could taste was cheese – it was overpowering. I certainly couldn’t taste any ham. Out of the whole box, it appears only one tasted of something other than cheese (my husband got it, he said “I think I can taste the ham in this one”). Maybe the box I had was a batch that didn’t quite mix properly, but I don’t think I will be buying another to test that theory.